Extreme sports require extreme readiness. SanDisk Extreme microSDHC UHS-I cards deliver the speed, capacity, durability, and quality you need to make sure your adventure is captured in stunning detail, even if you blink on the way down. Now rated UHS Speed Class 3 (U3), this fast, high-performing card teams up with your action camera to let you capture and share unforgettable extreme sports video. Training, planning, gear - extreme sports require extreme readiness. To make sure you have a lasting record of the event from your own unique POV, you need the right camera and the right memory card, too. 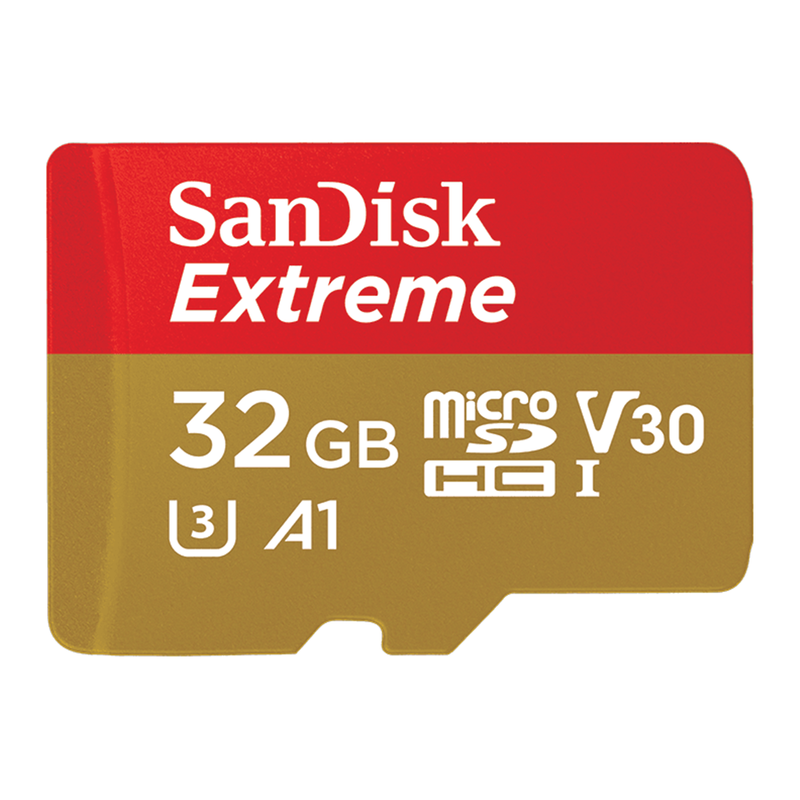 SanDisk Extreme microSD UHS-I cards deliver the speed, capacity, durability, and quality you need to make sure your adventure is captured in stunning detail, even if you blink on the way down. Pro video performance with both Class 10 and UHS Speed Class 3 (U3)4 ratings lets you capture 4K Ultra HD and Full HD video. Your videos will meet today's highest resolution standards and will look stunning on the latest 4K Ultra HD TV screens and monitors, making this the ideal card for your 4K Ultra HD video-enabled smartphone, tablet or camera. The best stuff happens fast. With extreme speeds up to 90MB/s5, SanDisk memory cards give you the speed you need to capture every detail. Fast write speeds reduce the time you're on hold while you move pictures and videos to your card. Offload big files faster so you're always ready to catch the next great shot, and enjoy smooth video playback. Performance: 32GB: Up to 100MB/s* read and up to 60MB/s* write speed.